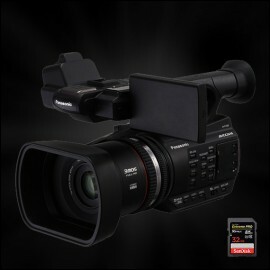 Have a look at our video camera hire options and packages at Cam-A-Lot Rentals. 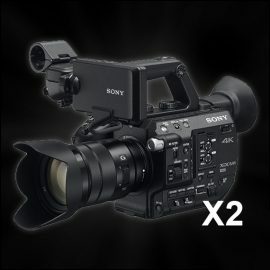 Our professional video cameras come in a choice of two packages to suit your shooting needs. Video camera rentals consist of a choice between our Basic Kit, which includes a camera, tripod, batteries & cards. Or the Full Kit which additionally includes a 3-head lighting kit & additional audio equipment in the form of a boom mic and lapel mic. We have some of the latest professional camcorder equipment to offer, however if the video camera or video equipment you require is not listed please be in touch and it would be our pleasure to assist you. The price displayed is the rental price per day. The hire prices include VAT. The price shown also include all “handling” and “rental fees” which other companies normally add in addition to their prices shown. If you have any questions or you are looking for video cameras not listed, please do not hesitate to get in touch with Cam-A-Lot Rentals so we can try help with your specific video camera hire requirements.